ASTANA – Following Kazakhstan’s election to a non-permanent seat on the United Nations Security Council (UNSC) for a two-year term starting Jan. 1, 2017, Kazakh Foreign Minister Erlan Idrissov made comments to the media June 28 on the country’s priorities and goals. The minister thanked all the delegations for their vote of confidence and rendered trust, as well as noted the Kazakh delegation is very proud to be the first Central Asian country to serve on the UNSC. Regarding the contributions Kazakhstan is planning to make to UNSC discussions, Idrissov spoke about the four proprieties of Kazakhstan’s programme – energy security, nuclear disbarment and non-proliferation, water energy and food security. Highlighting Kazakhstan’s role as a mediator in the Ukrainian conflict, Idrissov was asked if the nation is ready to continue its part, taking into account Ukraine and Russia are both members of the UNSC now. “Kazakhstan has never tried to take a role of mediator in the Ukrainian conflict. Our country has friendly relations with both Ukraine and Russia. When we have been asked to give our advice, we have always been happy to give this advice. We fully support the Normandy format for Ukraine and believe that the only way to bring long-wanted peace to Ukraine is to meticulously implement the Minsk agreements. We took part in producing the Minsk One and Minsk Two agreements. 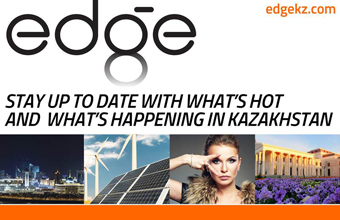 When there is an opportunity to present ourselves, Kazakhstan will be prepared to a play positive role to resolve this very complex crisis,” he said. Idrissov underlined that Thailand, the competitor from the Asian-Pacific group, mounted an exemplary campaign and noted the country is a great neighbour of Kazakhstan in regional and global affairs. The Central Asian region is a young one on the political map, but still has a great history, he added. The region has much to offer and Kazakhstan will bring its priorities to the UN agenda. 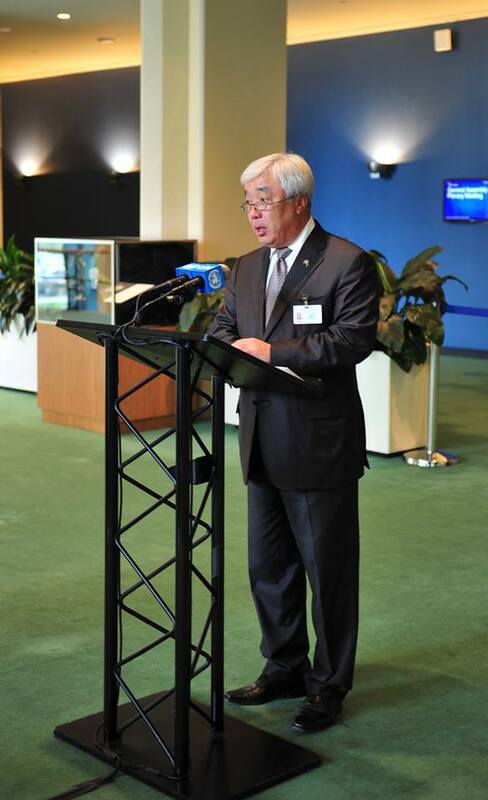 When asked what Kazakhstan will add to the UN discussion concerning the development of landlocked countries, Idrissov said the main feature is the expansion of connectivity lines through the huge Eurasian space. “Kazakhstan contributed a lot in this direction. We fully support the connectivity initiatives of China. We are part of the Eurasian Economic Union (EAEU), which carries a lot of potential to develop Eurasian connectivity lines to the north, east, south and west. Therefore, we will be promoting this agenda to the UNSC in the context of our developmental efforts,” he said. Since June 2010, Kazakh diplomats have made consistent efforts to bring practical information and the advantages of the country’s bid to the international community in order to obtain support from the widest possible range of UN member states. Under the UN Charter, the Security Council has the primary responsibility for international peace and security, with all UN member states required to comply with council decisions, according to the UN News Centre. The council’s 10 non-permanent seats are allocated according to a rotation pattern set by the assembly in 1963 to ensure a proportionate representation over time from the different parts of the world: five from African and Asian states, one from Eastern European states, two from Latin American states and two from Western European and other states. The General Assembly members voted by secret ballot June 28 for five seats divided by geographic grouping – three from Africa and the Asia-Pacific region, one from Eastern Europe and one from Latin America and the Caribbean. Bolivia and Ethiopia, neither facing competition, were chosen by their regional groups. Kazakhstan was selected over Thailand for the seat reserved for Asia Pacific, while Italy, the Netherlands and Sweden vied for two seats from Western Europe. Sweden was elected, while the Netherlands and Italy decided to split the seat and sit on it for one year each as none was able to win in the five rounds of voting. The newly-elected countries will replace Angola, Malaysia, New Zealand, Spain and Venezuela. The Security Council has 15 members. The five permanent members, each with the power of veto, are China, France, Russia, the United Kingdom and the United States. The other current non-permanent members are Egypt, Japan, Senegal, Ukraine and Uruguay. The Security Council is responsible for determining the existence of a threat against peace and responding to an act of aggression. It is charged with finding peaceful means to settle a conflict or dispute between states. In some cases, the council can resort to sanctions or even authorise the use of force to maintain or restore international peace and security. The Security Council also makes recommendations to the General Assembly regarding the appointment of the Secretary-General and admission of new UN members, according to un.org.